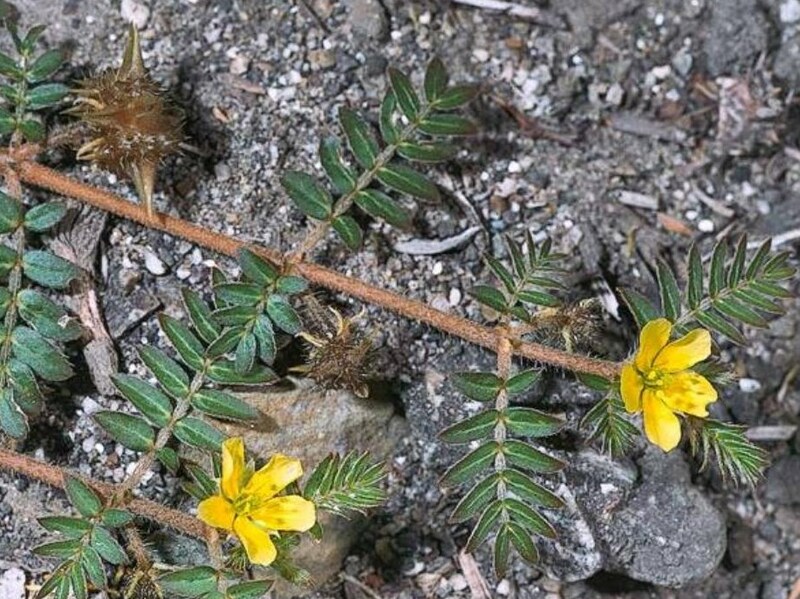 Tribulus terrestris (puncture vine) is an annual herb (family Zygophyllaceae) with yellow-white flowers and narrow hairy leaves found all over California. It is native to the Mediterranean. It favors grasslands and dunes. It propagates by seed. Seeds are dispersed via water, wool, vehicles and agricultural activities.